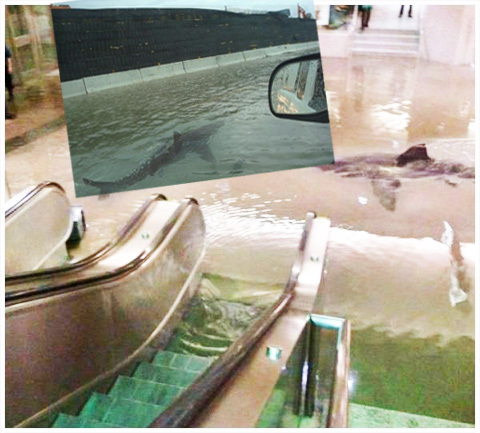 A shark tank collapsed at the Science Center in Kuwait on Friday. This is the kind of stuff I nightmare about. Remember this picture which turned out to be fake? Update: Thanks to commenter Sean for pointing out the shark in this pic looks the same as the shark in the fake picture above. If you notice, the shark on the left in this picture looks suspiciously like the shark in the fake picture.